CANTON, Mass. 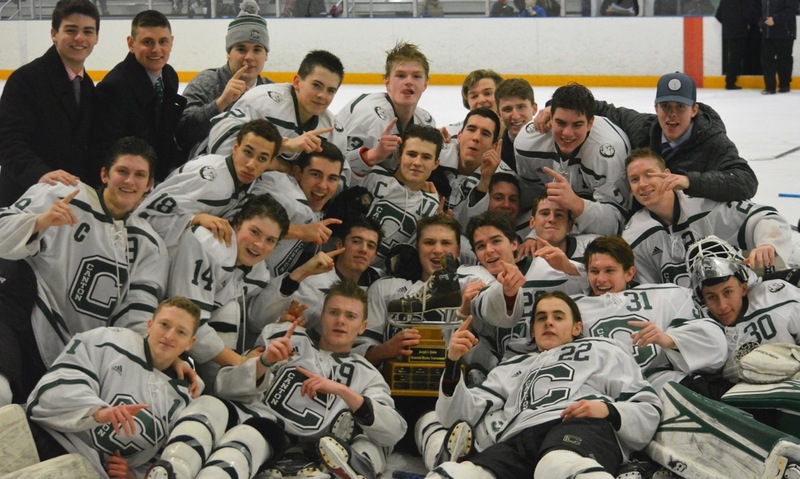 – Canton and Medfield have developed quite a rivalry since the Warriors made the leap into Div. 2 several years ago. 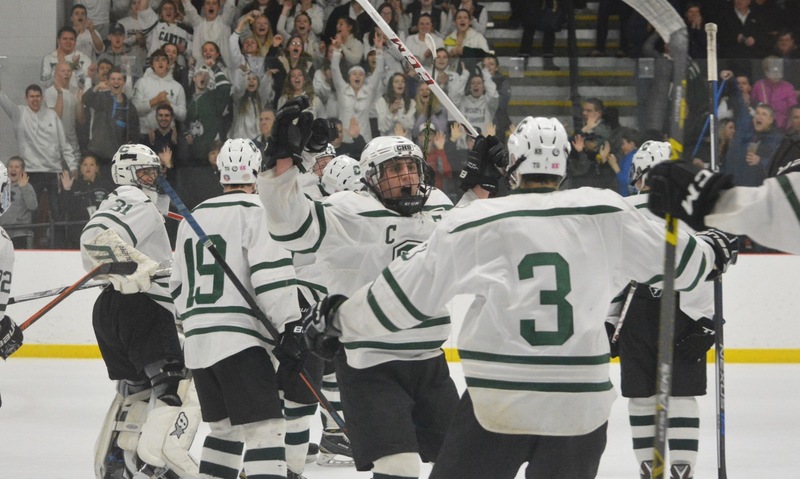 The teams consistently meet in the regular season, including last year’s shootout thriller in the Quinn Tournament in Raynham, and have also met a couple of times in the latter rounds of the South sectional. Although both teams have a number of new faces this season, the expectation was for a fast-paced, high-energy game. And with both teams looking for consistent offense after the graduation of key forwards, it was also expected to be tight. 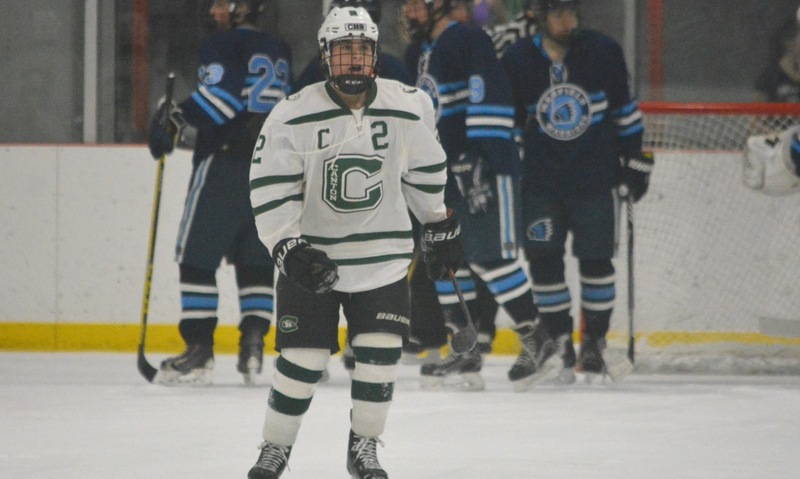 On Wednesday night at the Canton Ice House, the teams met for the first time this season and the game mostly lived up to expectations, finishing in a 1-1 tie. 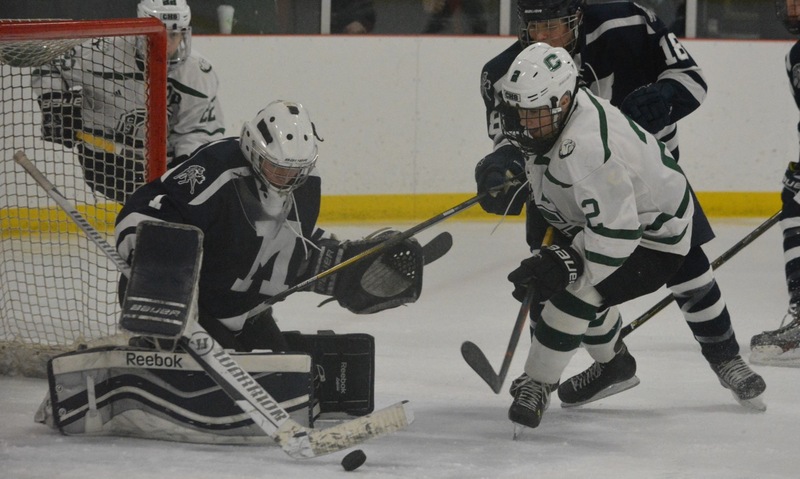 Tommy Kilduff got the lone goal for the Bulldogs to even the score early in the third period, as the Bulldogs closed the game with a flurry after an inconsistent opening two periods. Despite earning a point and outshooting the Warriors, who are the defending state champions, 29-16 (11-1 in the third period alone), Canton coach Brian Shuman was left wanting more from his team. Both teams are known for playing with speed and precision, but that was largely missing from the opening period. There were flashes of the passing that makes both teams hard to stop, but most of the game was played between the blue lines with the offenses struggling to make an impact. Kilduff created the game’s first scoring chance with a good forecheck that forced a turnover but his shot was just wide across goal. The puck came back to Matt Cassamento and he fed Kilduff in front but Kevin Walsh (28 saves) came through with the stop. Canton goalie Quinn Gibbs (15 saves) made a nice stop on Dylan McNally and with 20 seconds left in the first Jack Goyetch had a chance on a 2-on-1 but Walsh managed to sit on the puck and cover up. Medfield jumped in front a little more than a minute into the second period, and just seven seconds after a penalty on Bubba McNeice, when Ryan Johnson swung the puck across the blue line to Nick Wheeler. The senior defenseman flung a shot through traffic that Gibbs could not see. The Warriors had their best period of the game, putting 11 shots on Gibbs in the second, but had few legit scoring opportunities. Kilduff nearly tied it with 7:15 left in the period and the rebound popped out to Ryan Nolte but his shot slid just wide of the post with Walsh prone on the ice. The Canton forecheck created another chance two minutes later as first Goyetch and then Jackson Maffeo had shots beaten aside by Walsh. Freshman John Hagan had a snap shot kicked aside as well. In the third, the Bulldogs finally found a way past Walsh. 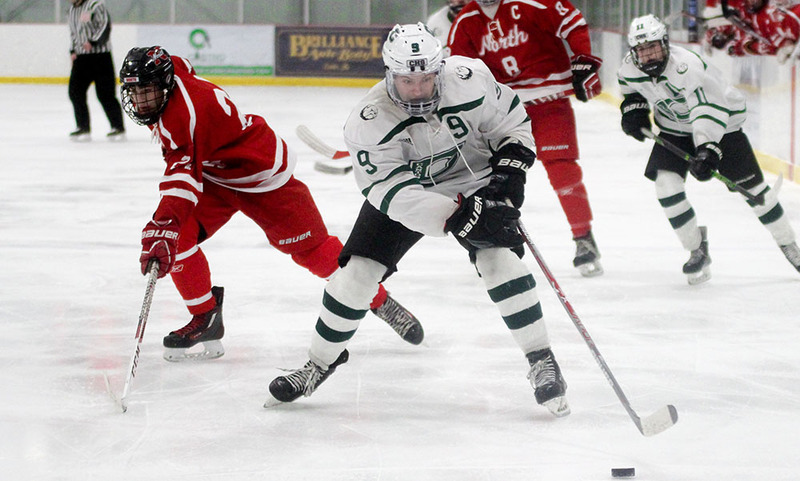 Nolte had a point-blank chance carom off the goalie’s shoulder when it looked destined for the corner, but the Bulldogs kept the play alive in the zone and Kilduff was able to pounce on a loose puck in front to slide in the goal. The Bulldogs dominated the third period and the defense limited Medfield to only one shot in the period, while Maffeo (paired mostly with Brad Murphy) and Martin (paired with D.J. Trerice) regularly found themselves pushing up into the attack. Canton had one last chance to try for the game-winning goal and again it was the top line that created the opportunity, Kilduff broke free down the left wing and fired a pass across goal to Nolte, but somehow Walsh managed to get across and make a sprawling save that left the Canton alumni on the opposite side of the rink mystified as to how it was not a goal. Shuman knows that Canton is going to need more people to rise to the occasion if the Bulldogs are going to make a tournament run this season. 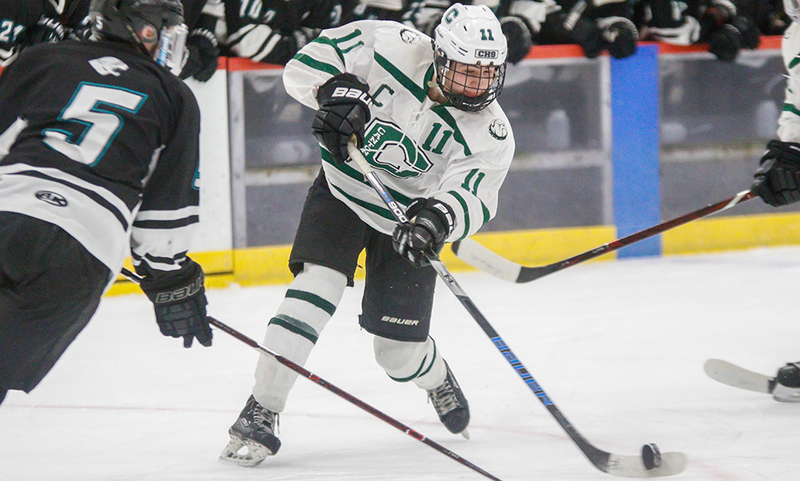 Canton (7-2-2) will get back into league play on Saturday with a trip to Asiaf Arena to take on Stoughton before next week’s visit of Davenport challenger North Attleboro.